Recently, I just went went to Hong Kong for 5 weeks on a summer school program. Being away from the bike for 5 weeks is a painful decision and not something that I can bear to. Thus, I made the very expensive and troublesome choice to carry my entire bicycle over to Hong Kong right to my dormitory. At the same time, it would be an eye opener for me to both ride in Hong Kong as well as to look around the cycling scene in Singapore. However, while doing research on where to ride, I was partially amused at the lack of English sites on where to ride around in Hong Kong. 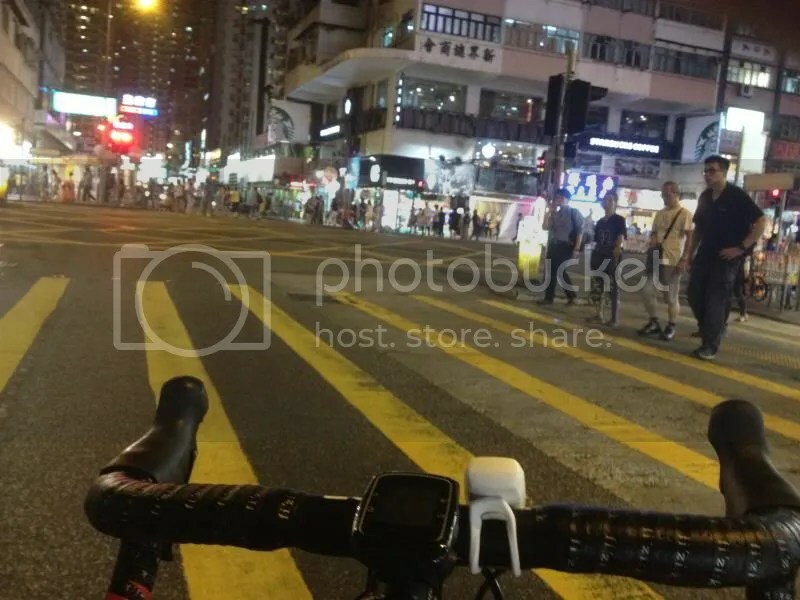 Maybe it is because I cannot type fluently in either Traditional or Simplified Chinese, but I simply cannot find any information, or riding groups in Hong Kong.The cycling sites in English were not very helpful either, just giving general guidelines on road safety in Hong Kong. Fortunately, I managed to hook up with a bike shop in Hong Kong (Thanks Bull Bike) who brought me around the island. At the same time, I went around alone exploring the areas in the afternoon trying to find a nice riding spot. It is illegal to ride around the pavement in Hong Kong. Riding around the roads is the same, slower traffic on the left and overtaking on the right. Traffic though, despite not signalling and relatively busy does give plenty of leeway to bicycles and there will be space to maneuver on the road without the risk of running into roadside drains. While Hong Kong is perceived as a bustling metropolitan city cramped up with people, there are still many places to go around and cycle! Hong Kong is basically split into three main areas, Hong Kong Island, Kowloon and New Territories. Never ride in this area before as I was situated in the New Territories. From the looks of it, it is an crazy place to cycle in the day as traffic is very heavy, at night tons of drunk people around central area. Also, there are trams tracks in the area, which is not very good as your wheels might get stuck into the tracks. My ride often starts here. Roads are generally in bad condition with heavy traffic. At night however, the roads are relatively clear. Area is generally flat in the Mongkok district but once out of the area, there are many hills around the housing estates. Also relatively easy access to the huge New Territories area with 2 main roads connecting it to the New Territories. Container Terminal area though is pretty fun to cycle though trucks there are huge.Castle Peak Road connecting Kowloon and New Territories was a joy to cycle with relatively little traffic lights and roundabouts though the road is a little undulating. This is the biggest area/district in Hong Kong with it stretching all the way from Tuen Mun in the east all the way to Ma On Shan to the west. This was the area where I stayed (very close to Sha Tin). Full of hills and mountains though I only cycled up two hills this time round. Relatively steep and generally full of pain and torture. Also, Traffic is light once out of the populated areas and cars will either wait for you behind or use the lane beside you to overtake. The island where the airport and Disneyland are located. A mixture of flat land with various mountains there. Again, unable to go there since it will take me almost 2 hours just to travel there by MTR! Seen lots of cyclists there but never had the opportunity to chat with them and ask about their schedules. Since getting around the Island totally by bicycle is unfortunately not possible since the islands are connected by expressways and tunnels and bicycles are not allowed on it. Fortunately, the Mass Transit allows bikes on it as long as you remove the front wheel and take the first and last cabins. This makes travelling between Kowloon and Sha Tin side of the New Territories so much easier as it was pretty difficult to find the main road connecting it. 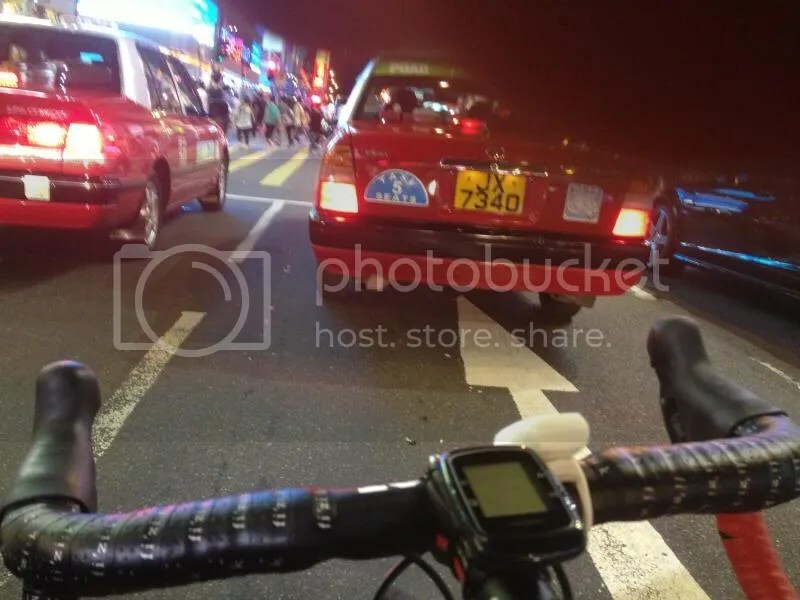 This entry was posted in Country Report and tagged cycling, Hong Kong. Bookmark the permalink.